how the AML rules apply to intellectual property rights. Throughout the book there are analyses of major judgments with key conclusions to be drawn from them, as well as comparisons with corresponding judgments in other jurisdictions. This book is the first comprehensive analysis of the AML, and as such will be of inestimable value to business persons and in-house counsel, as well as to academics in Chinese law and competition law from a global perspective. Chapter 2 Background and Context. Chapter 3 Monopoly Agreements and Abuse of Dominance. Chapter 5 Government Restrictions to Competition. 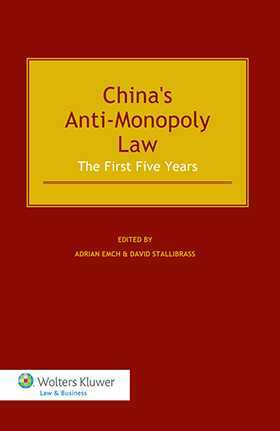 Appendix: Anti-Monopoly Law of the People’s Republic of China.